Lexi Angelo has grown up helping her dad with his events business. She likes to stay behind the scenes, planning and organizing... Until author Aidan Green - messy-haired, annoyingly arrogant - arrives announced at the first event of the year. Then Lexi's life is thrown into disarray. Before Unconventional, I NEVER thought that HAPPY TEARS could POSSIBLY be a thing, but now that it’s happened, it has changed my whole meaning on what it means to be in LOVE with a book. 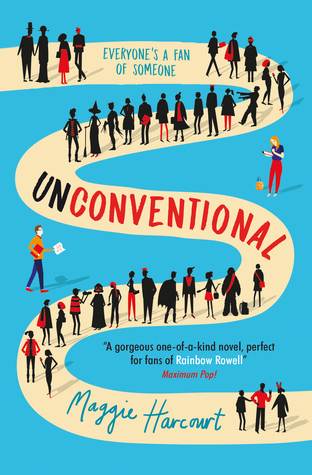 In a nutshell, Unconventional is a masterpiece that will make you BELIEVE in love, magical boys that write books that feel like they’re speaking to you and pineapples all over again! Maybe you never needed your faith in pineapples to be reaffirmed, BUT IT WILL BE REGARDLESS. Lexi Angelo is a convention Kid – the High Priestess of the Order of the Clipboard, you could say. If you don’t know what those are, prepare to be educated. Lexi’s father, Max Angelo runs an event planning company and while he has his team to do all the big stuff, he personally (along with his daughter, of course) loves planning the conventions. Think the Comic-Con you’ve always wanted to go to, and a Max Angelo Convention is probably better. Lexi has every aspect of the conventions planned out, even though she knows that fifteen minutes, it will all go to hell. With her team of friends, they organise and manage the chaos that is thousands of fans and temperamental artists with poise, and reprieves under tables. Lexi thought she had it all… until Aidan Green. And believe me, YOU will never experience a love story as FREAKING ADORABLE as this one is! 1. IT’S CENTERED ON CONVENTIONS: If this isn’t THE MOST ADORABLE place to place to set a book I DON’T KNOW WHAT IS. It has chaos, and MORE CHAOS and some crazy characters and forms SUCH a fun background, it’s really difficult to describe. 2. THE CHEMISTRY: It is VERY hard to get chemistry right, VERY HARD. And yet somehow, Maggie Harcourt managed to make this awkward chemistry PERFECT, with all their ups and downs and it made me SQUEAL WITH DELIGHT. 3. THE ADORABLENESS: I honestly cannot DEAL with the amount of adorableness that this book contained (hence, you will find the word adorable in this review about 8,000 times) but the dialogue between Aidan/ Haydn and Lexi was brilliant and REAL and awkward and everything you’re looking for in a book like this. I think I should stop ranting now and just MAKE YOU GO READ THIS BOOK. 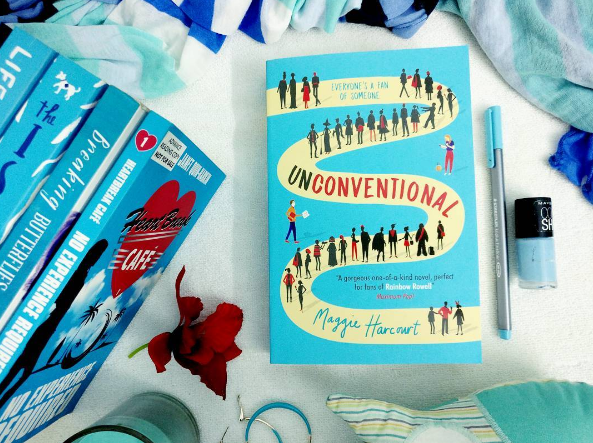 Unconventional every fangirl’s adorably awkward dreams put in the shape of a book, and you need it in your lives. ALL THE STARS. Maggie Harcourt was born and raised in Carmarthenshire, west Wales. At 17, she moved to London to study English Literature - and later took a Master’s degree in medieval literature - at University College London. 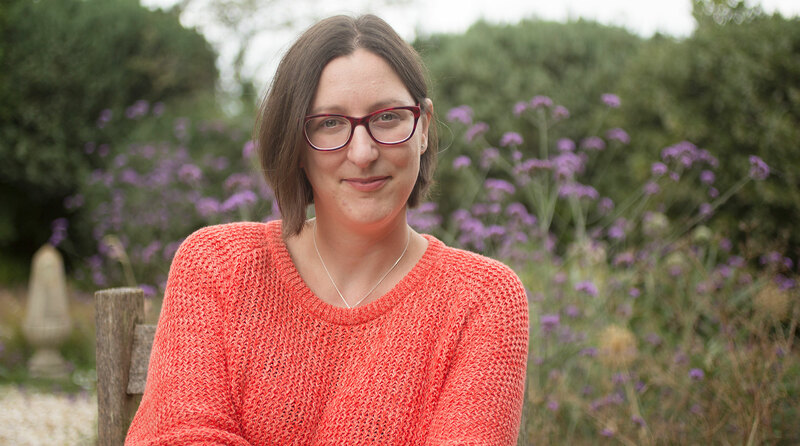 She always wanted to be a writer, but has also worked as a hotel chambermaid, a PA and for a French chef along the way, as well as spending several years involved in convention running. Writing is still her favourite thing, but she also loves the theatre. She currently lives in Bath - where she can usually be found in a bookshop or somewhere near the river. She guards the secret of her favourite coffee shop jealously, because she has the perfect spot picked out there for people-watching. You can follow her on Twitter and on Instagram. She is represented by Juliet Mushens at Caskie Mushens. Have you been to a Fandom Convention/ Book Event/ Comic Con? HOW WAS IT? Again, I CANNOT RECOMMEND THIS BOOK ENOUGH. If you consider yourself a Fangirl, you'll LOVE IT.